The next Chapter 25 meeting is November 17th, Wednesday, at 7PM. We won’t be cooking brats this month due to location. 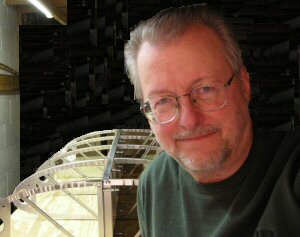 Dale Johnson will be conducting a discussion and tour of the WWII CG-4 combat glider that is under construction by him and several others. You can view a few photos of the CG-4 project from 2009 to get a sense of the amazing scope this project. Also present will be members of the soaring club. When you enter the Circle, Villaume is ahead and to the right. Turn right and proceed to the far back of Bldg 2. If several members can carpool, it will relieve “parking stress” in a limited area. 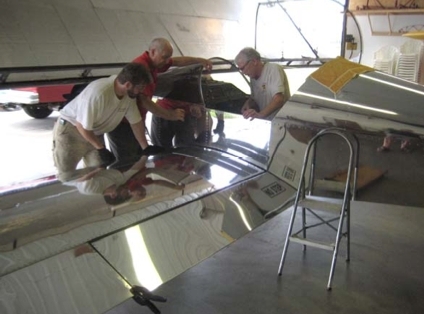 Next time you come to BSAEC, take a look at Keith Rhode’s beautifully polished Sonex wings. We’ll see this airplane being re-assembled soon and hopefully doing some test flying from LVN. With two planes at BSAEC, we can truthfully say the place is being well used as a hangar, and the Chapter benefits from the monthly donations of the owners. Dale Johnson and others are building -rebuilding -two CG4 gliders. They currently have parts for about 3 1/2 gliders. The project is in a warehouse in Eagan off of Lone Oak Road. Dale is building ribs and tail feather in his shop at home. If you are interested in more information call Dale at 952 890 3905. Dale’s clever low-cost clamps. Note: form defines the outside profile (Dale points out many builder forms define the profile from inside. If your wood varies in thickness, then your parts will be a different size.